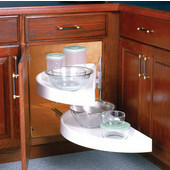 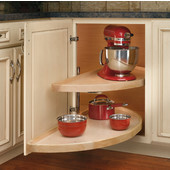 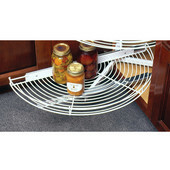 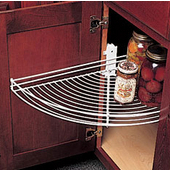 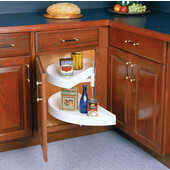 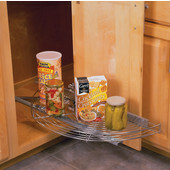 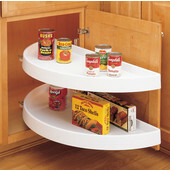 Half Round Lazy Susans allow you access to items in a blind corner cabinet. 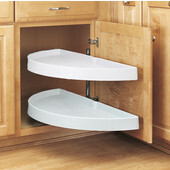 With shelves that pivot around, items in the back of the cabinet are brought to the front, making them easy to reach. 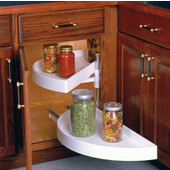 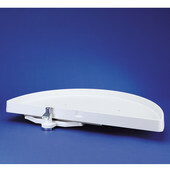 Ball-bearing slides enable the shelves to pull out smoothly and easily when the cabinet door is opened. 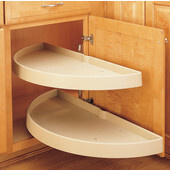 Half round lazy susans, or half moon lazy susans as they are sometimes called, are sized to fit cabinet door openings ranging from 12" to 19½". 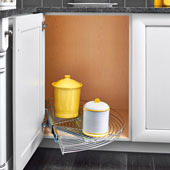 KitchenSource.com offers half round lazy susans in polymer, wire and wood from top manufacturers, including Amerock, Hafele, KV Real Solutions, Rev-A-Shelf and Peter Meier. 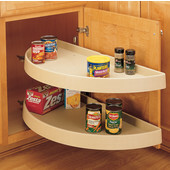 Our large collection of quality lazy susans and our expert sales team make it easy for you find the right half round lazy susan to fit your specific needs.